Product information "Gartenvögel erleben, beobachten, schützen"
Garden birds fascinate us all year round. In Spring we enjoy the migratory birds that returned, in Summer we eagerly watch the breeding and raising of the young, in Autumn the garden offers much food for the birds, and in Winter we watch their happy activity from the window. 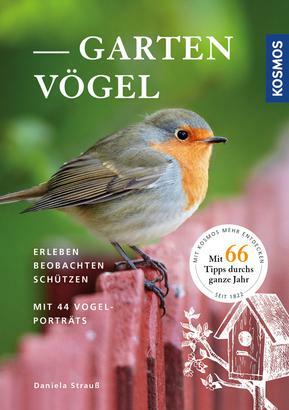 This book guides you through the seasons, and reveals what you can watch and what you can do for the birds in the garden. The species section offers portraits of 44 species and help with identifying them.